Brain Candy Live! hits the State Theatre New Jersey stage this November with its unabashed celebration of science and discovery. Lauded as a 2-hour “interactive, hands-on, minds-on theatrical experience like no other,” the show will provide the entertainment and curiosity fix your brain has been craving. Brain Candy Live! Is the collaboration of Adam Savage and Michael Stevens, two engaging performers who share a love of science. 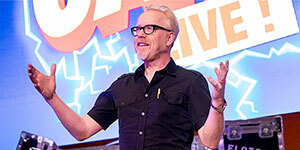 Adam Savage is the former co-host of the Discovery Channel’s popular Mythbusters show. For over 14 seasons Adam, along with Jamie Hynerman and the Mythbusters team, tested more than 1,000 scientific myths in order to validate or debunk popular beliefs and urban legends. Adam currently hosts the Tested Channel on YouTube and tested.com. Michael Stevens is one of YouTube’s biggest stars. His Vsauce Channel, launched in 2010, has over 17 million subscribers with over two billion views. Michael’s videos focus on discussing scientific and philosophical questions such as What If Everyone JUMPED At Once? and Is The 5-Second Rule True? In Brain Candy Live! Adam and Michael put their imaginative and entertaining minds together to bring the demonstrations they had previously done on video to a live audience. The result is an experience that brings science to life in a show unlike any seen before. Over three tons of crazy props and incredible tools are used to help the audience understand and explore the science behind the physical world. 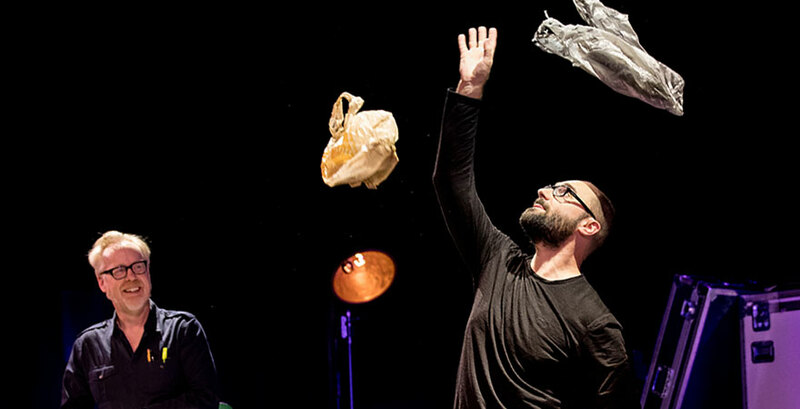 Adam and Michael create devices onstage such as a giant vortex smoke cannon and a ping-pong machine gun. The show relies on a heavy amount of audience participation. Audience members “get to hold and hear and smell things,” Stevens promises. Volunteers selected at random help build and operate the show’s newly built contraptions. Adam and Michael may call on audience members to help build a hovercraft using a hairdryer or to scissor, wag, twist, and rock their way through the movements of molecules. The duo incorporate storytelling, dancing, jokes, juggling, and the occasional ukulele solo in their demonstrations In order to further entertain and engage the crowd. Brain Candy Live! will deliver its unique blend of discovery and fun to an audience of all ages at State Theatre New Jersey on Wednesday, November 15, 2017 at 7pm. Get your tickets now!